We provide a number of additional ordering methods, as shown below. 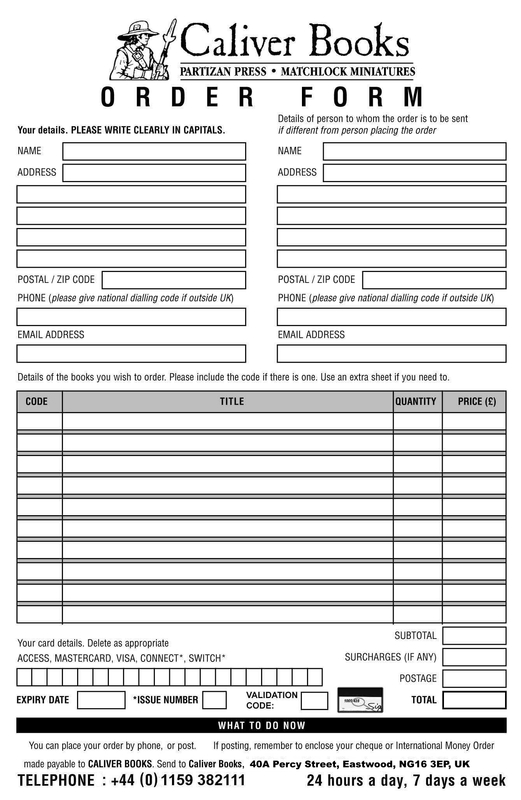 If you want to post us your order, we have provided a form for you to print out and fill in. It ensures that you give us all the information we need to process your order as quickly as possible. Once you have copied or printed the form, use your browser's "Back" button to return here .